I am both honored and grateful to accept both of the awards and will display them with pride. Regardless of the rules, I believe in paying it forward. Not only does paying it forward bring joy to me, but when you inspire someone else to do the same it turns a bright light on in a dark room. 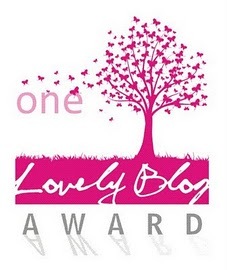 This past Sunday, I was nominated for the One Lovely Blog Award by a very kind, giving, creative, and in touch person. His name is timzauto. Please visit his blog at www.timzauto.wordpress.com. Last night, I was nominated for the Sisterhood of the World Award by Nizy a very inspiring, caring, creative, and loving person. Please visit Nizy’s blog at www.nackynice.wordpress.com. I hope you will enjoy Tim and Nizy’s blogs as much as I do! I am passionate about living a balanced lifestyle in mind, body, and soul. I have two notebook/diaries filled with motivational and inspiring quotes that I have collected for years. I enjoy reading, writing, and watching inspiring/motivational books and movies. I also enjoy watching documentaries. My favorite sports are gymnastics, ice hockey, and figure skating. I believe gymnastics is the toughest sport there is! I love butterflies! I love animals in general. I love cooking healthy meals and sharing them with others. Most of the time, people are amazed at how yummy healthy food tastes. I take pleasure walking on the beach, in nature, meadows, and in times of solitude. Please visit all of the award winner blogs! Enjoy! This entry was posted on July 25, 2012 by Cher. It was filed under Gratitude and was tagged with Awards, Gratitude, Honor, Pay it forward, paying it forward. Congrats on this award. What’s your favorite documentary film, if you don’t mind me asking?